Tasty, fast, inexpensive – usually it is very difficult to find a place that will fit all the three criterias. I know it myself too. 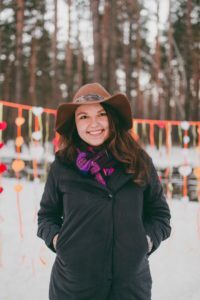 I moved to Moscow when I was a student and as most of the students I was really low on money. 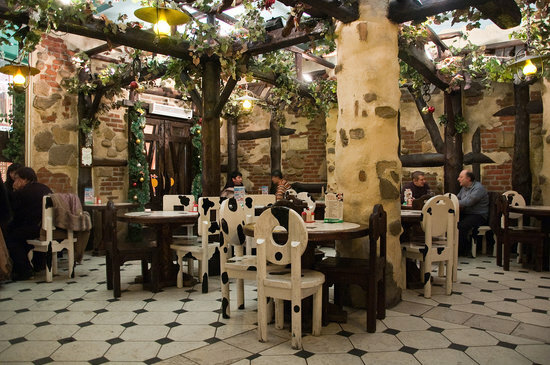 There are a lot of foreign students traveling to Moscow or studying in here. 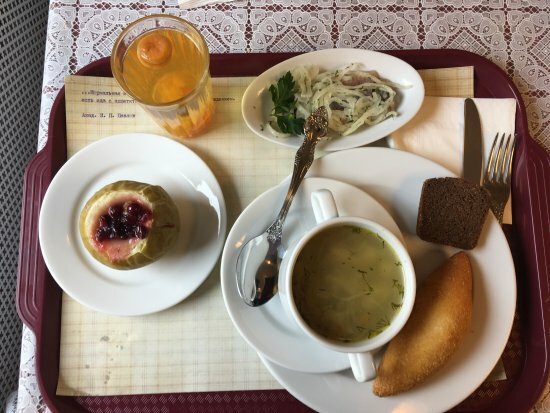 That’s why I decided to tell you about six places where you can have a good dinner in the center of Moscow and pay only around 300 rubles (around USD 5.5). 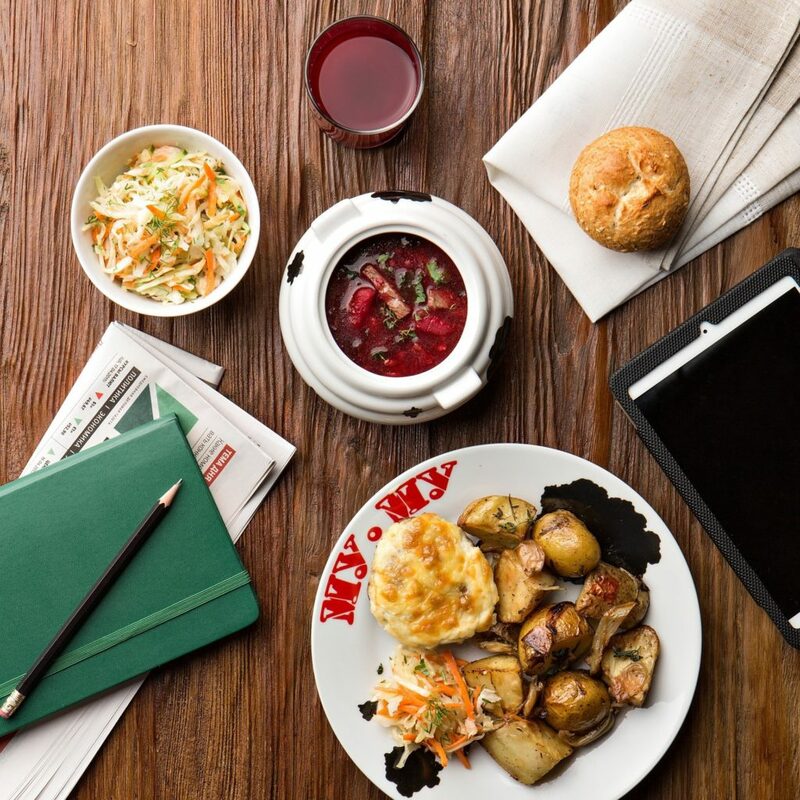 Bon appetit, friends! Stolovaya #57 is located right on the Red Square, in GUM, on the 3rd floor. 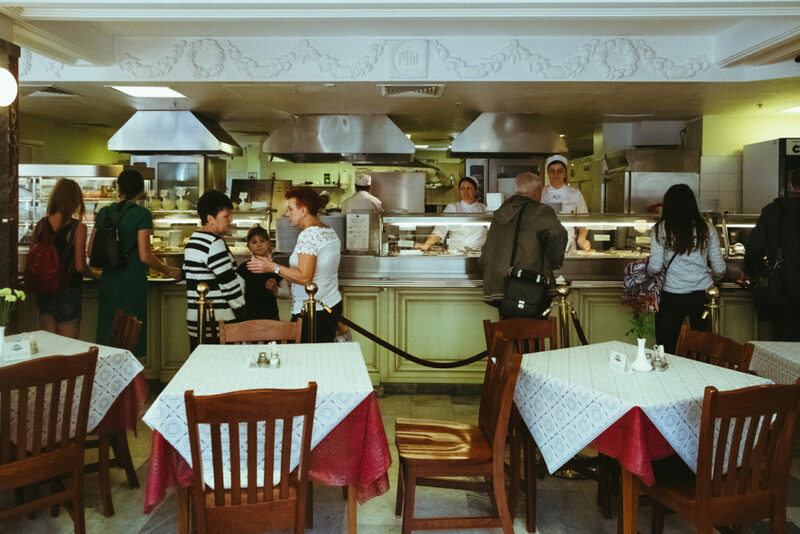 This canteen is located there since the Soviet era and is very famous among Russians. The cooks prepare dishes according to recipes from the “Book of delicious and healthy food.” that used to be in every house during the USSR times and the taste of the food is very good and feels like it’s homemade. 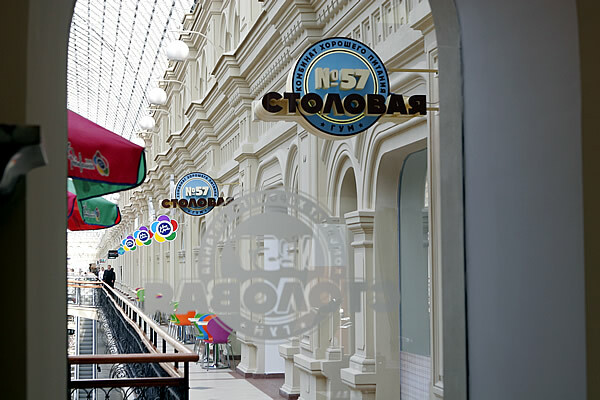 The decorations and the music there is also from the soviet times which will be interesting for you as a foreigner. 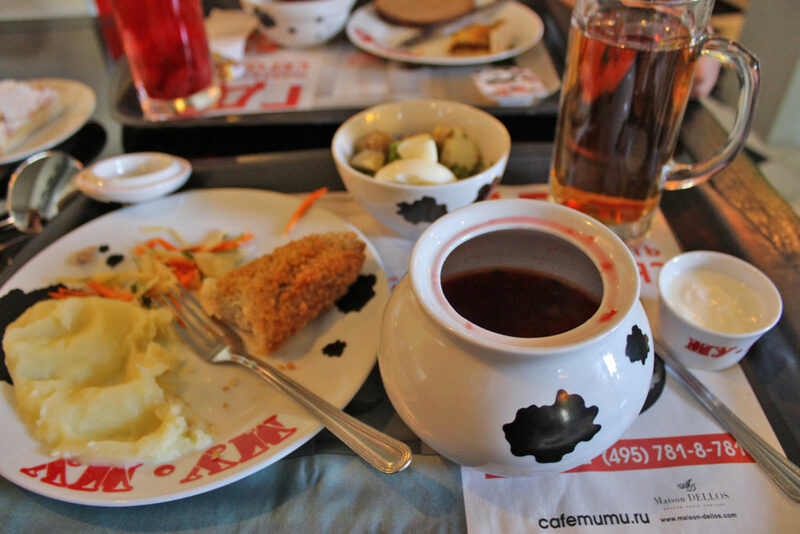 The average cost of a hot dish is 100 rubles, soups – up to 70 rubles, drinks – 40 rubles. Address: Red Square., 3, GUM, 3rd line, 3rd floor. A chain of homemade food with low prices and the atmosphere of a village farm. 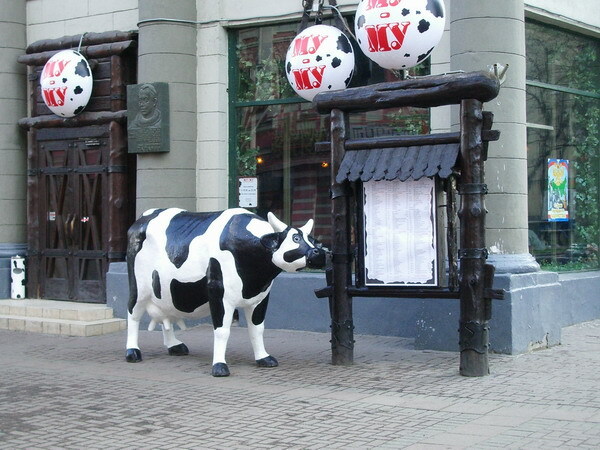 At the entrance of Mu-Mu cafe you often find a black and white cow, inside – wooden tables, columns and other elements of a village style. 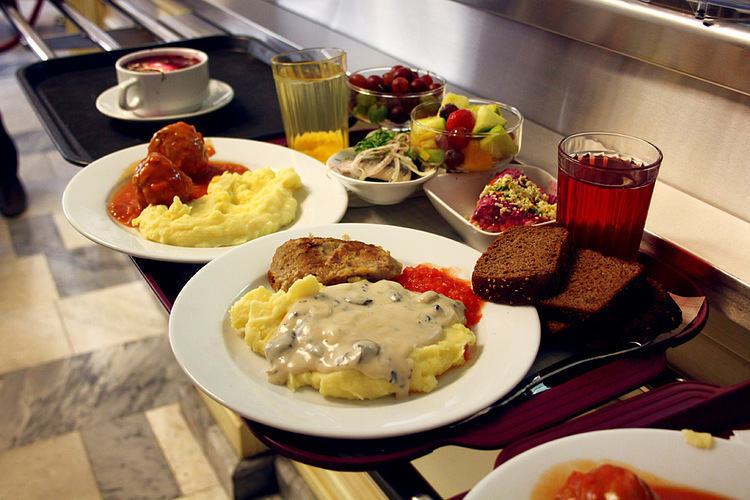 Simple and tasty food: cream soup with mushrooms, mashed potatoes, rice, meat dishes, berry sweet drinks. 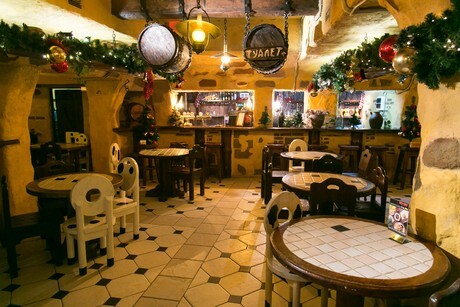 You can have a dinner from 250 to 500 rubles. Half an hour before closing they give all meals at half price. 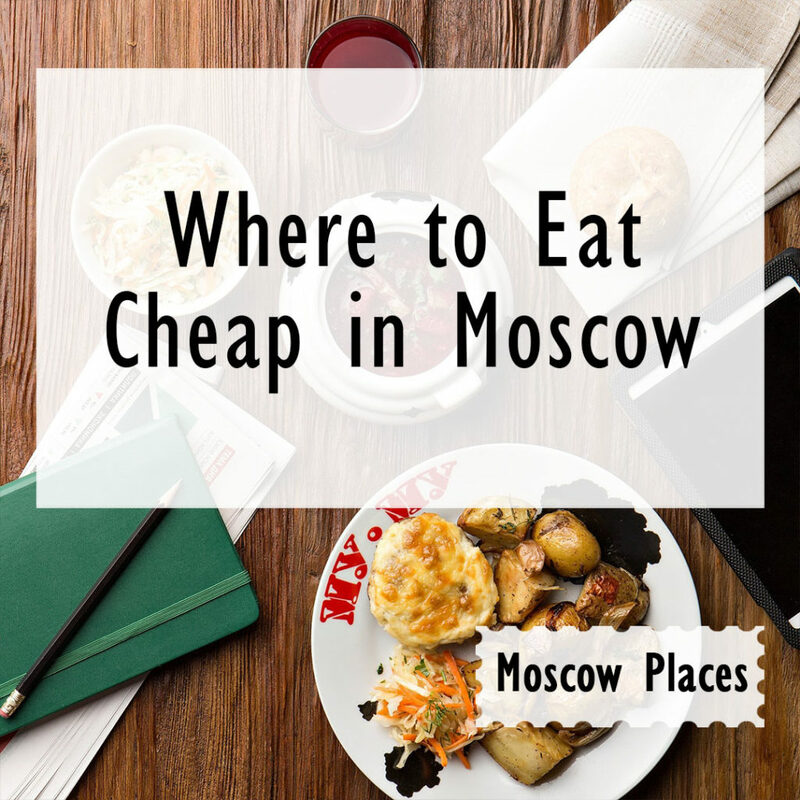 On my blog I give all the useful tips about Moscow. I suggest you to check if Moscow save at night or not. I have tried eating in MYMY, they have various choices and the food was good. Can you recommend a place to eat some spicy Pakistani or Indian food in Moscow? As for the spicy dishes I am planning to write a post about it. But for now I can recommend you to check out a place called Darbars near Kitai Gorod metro station. Few of my Indian friends have been there and they liked the food.